The early life of the late Grateful Dead frontman Jerry Garcia will be truckin' into theaters sometime in the near future. Producers Albert Berger, Ron Yerxa and Eric Eisner have signed on to produce a biopic about Garcia. It is said that the untitled project will focus on the counterculture icon's early life in San Francisco before he joined the band that become The Grateful Dead. This period includes Garcia's stint in the military(! ), a life-changing car accident and his first creative encounters with members of the Northern California music scene such as future Dead bassist Phil Lesh. A screenwriter has yet to be hired, but the producers have acquired rights to Robert Greenfield's book Dark Star, an oral history of Garcia from dozens of people who knew him, including musicians, relatives and artist friends like Ken Kesey. Negotiating music rights, usually a tricky matter in such biopics, could be made easier as the movie is to focus on the pre-Dead period of Garcia's life. This won't be the first movie to tackle The Grateful Dead. 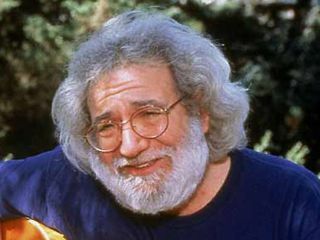 The group has been the subject of number of documentaries - including 1977's The Grateful Dead Movie, a concert film Jerry Garcia himself directed. But the story of Garcia's life has never been given the cinematic treatment.